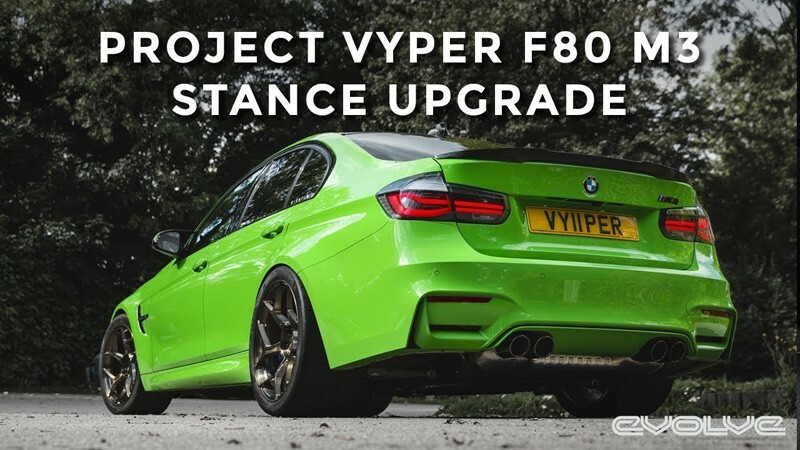 When BMW launched the Competition Package for the F80 M3 and F82 M4, it brought quite a few upgrades to the cars, including more power, a revised differential, some cooler looks and, most importantly, Style 666M wheels. I do love me some 666M wheels as the look devilishly (get it?!) good. However, not everyone likes them and I understand why, as they don’t really have any concave at all, which makes them seem a bit flat. So Evolve, who has been tuning an F80 BMW M3, has decided to fit new wheels and springs to give it a better look. The wheels Evolve fitted are 6Sixty Lightweight forged wheels. They’ve gone with a one-piece forged wheel, rather than a two or three-piece wheel which would be more stylish and in-trend, due to its lighter weight. 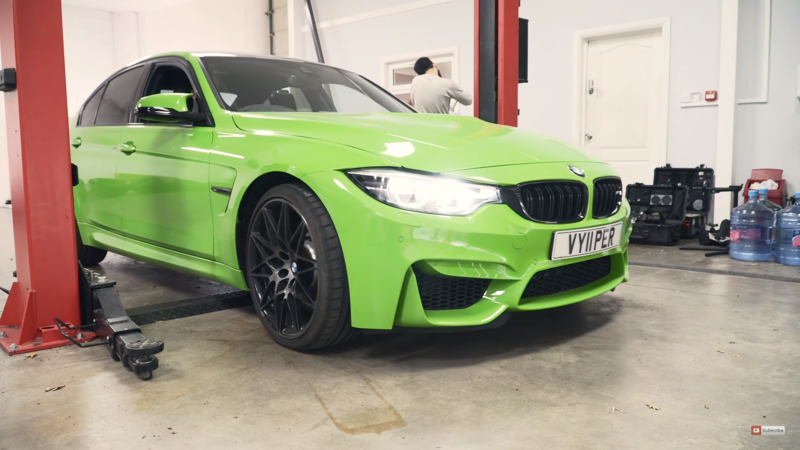 They also fitted it with a set of Intrax lowering springs, which don’t really add any performance, as the Competition Package M3 is already quite an impressive handling car, but they do add a bit of a new aesthetic. 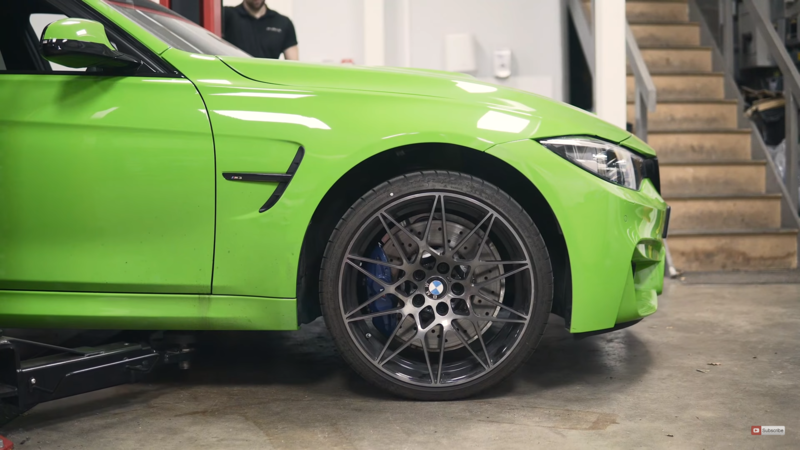 Those 6Sixty wheels are about two kilos lighter a piece than the BMW wheels, which can actually make a difference. That’s a few kilos of unsprung rotational mass lost at each corner, which is nice. Personally, I like the stock 666M wheels better than the 6Sixty wheels Evolve chose but I’m also a bit of a fan of them and can completely understand why Evolve chose the other wheels. Wrapping those wheels are Pirelli Trofeo R tires, which are some of the most aggressive street legal tires you can get. It’s Pirelli’s street-legal racing tire and it’s grippy as all hell, even if they do need a lot of heat in them to be effective. What’s interesting is that, after fitting the new lighter wheels and stickier tires, Evolve claims that the steering feels lighter and more responsive. So the steering’s “Sport” mode feels more like “Comfort” and its “Sport Plus” mode feels like “Sport”. That’s actually a good thing, as the BMW M3 seems to just have unnecessarily heavy steering in those sportier modes. In fact, I always keep its steering in Comfort when I drive it. So it just goes to show that every little bit of weight savings helps, especially if it’s saving unsprung rotational mass.